As a native west-sider transplanted to the east side of the state, I am continually in awe of the differences between where I grew up and where I live now. These aren’t things that make one side necessarily “good” or “bad,” but there are nuances that differ between a mostly rural versus a mostly urban area. I lament about this from time to time; having been brought up in a very nature-centric way, I find myself regularly seeking sanctuary from suburbia. While there are many terrific Metroparks and trails in the greater Detroit area, I finally have found one that rivals the rolling hills and lush, green solitude found throughout west Michigan. Ready to get lost, metro-area folks? Look no further than Bald Mountain State Recreation Area. 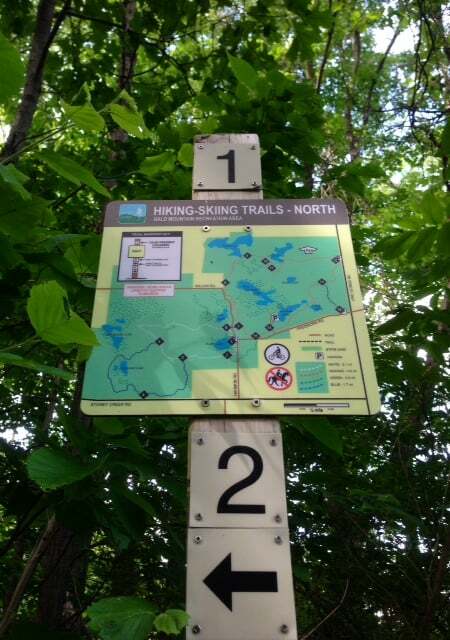 According to the Michigan Department of Natural Resources, Bald Mountain contains “some of the steepest hills and most rugged terrain in southeast Michigan.” Although I was skeptical of this, having just returned from mountainous Utah and Arizona, Bald Mountain really is a backwoods hiker’s paradise. I decided to check out the North Unit Trails, in a section just northeast of the main park between Conklin and Lake George Roads. Driving through Lake Orion, you begin to get a sense of what you’re heading towards as the neighborhoods thin out and the forests along the roadside get more dense. As opposed to other parks in southeast Michigan, Bald Mountain is truly “out there.” As soon as I turned down the pitted dirt road that runs through the park, I lost cell service. I did one full loop of the park in the car before circling back to hike, marveling at the vastness of the woods. This is not undermined whatsoever by the little pockets of residential inhabitants, of which I may be just slightly jealous. I parked at the Heart Lake boat launch and did a quick hike around Carpenter and Heart Lakes. Almost as soon as I hit the trail, my senses were overloaded. Two enormous and bold pileated woodpeckers flew close overhead and landed on nearby trees to find their meals. A raucous group of Sandhill Cranes began their distinctive, warbling calls (more like a scream, really – check it out here if you’ve never heard it), which is enough to make any trip worthwhile. The trails were indeed rough and rugged, crisscrossed with muddy mountain bike scars, rigged with roots and rocks, and rolling up and down for a good, challenging ride or hike. The thick wind shield provided by the trees makes for a cool, comfortable atmosphere, but lots of standing water means bugs. And I mean BUGS. Bring your insect repellent and you’ll be fine. Forget it, and you’ll get a cardio session like you’ve never dreamed of…that’s a wetland for you, though. 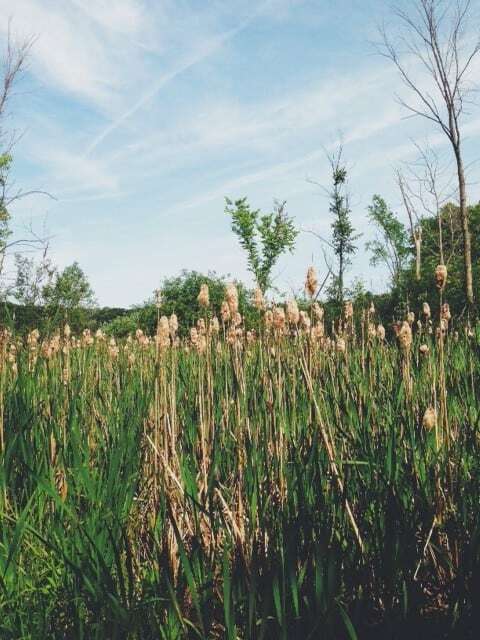 And the wetlands sprinkled throughout Bald Mountain’s North Unit almost seem to puff up their chests to boast their thick stands of native cattails, ostensibly laughing in the face of the invasive Phragmites australis, which has otherwise ousted many cattails and other critical native wetland species state-wide. I experienced only a small section of the park, but it was, in many ways, a breath of fresh air. Bald Mountain swallows you whole, offering a seclusion that is difficult to find in southeast Michigan. I know where I’ll be heading the next time I need to take solace in the woods. West-side expats and nature-lovers rejoice: Bald Mountain is for us! 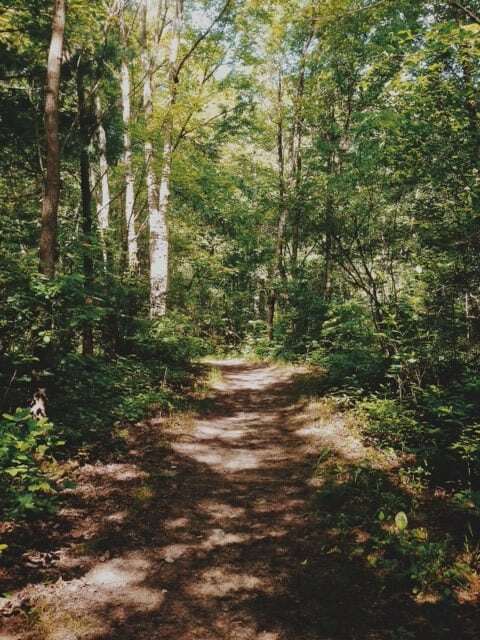 Have a favorite trail at Bald Mountain State Recreation Area? Have you seen some cool wildlife there? Tell us about it below! Tagged Bald Mountain, Lake Orion, Metro Detroit, Michigan State Park, outdoors, Southeast Michigan. Like many Michiganders, I have found myself continually drawn back to our great state after various explorations elsewhere (Virginia for graduate school, offshore Rhode Island for work). I just can't seem to stay away from all the awesome that the mitten has to offer. I am a proud Michigan State Spartan (Go Green! ), and a nerd, plain and simple. I'm trained as a marine biologist, and have a soft spot for invertebrates (pun intended?). I love to read, bake, laugh, read, do yoga, camp, drink craft beer, and read. I'm happiest exploring the outdoors - especially the coasts of our Great Lakes! Come outside with me.